I don’t know about you, but I’ve noticed lately a spoiled generation of children who feel entitled to the things they have. They get everything handed to them and aren’t expected to work for anything. Now, it’s only natural to want to give your children the things you never had as a child, but can it go too far? “Because reality is, life doesn’t give us everything we want. We don’t always get the best jobs or a job at all. We don’t always have someone rescue us when we have a bad day or replace our boss just because we don’t like them. We can’t always have what we want when we want it. 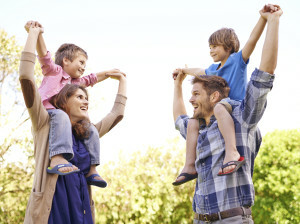 We aren’t always rewarded in life.” So, what can we, as parents, do about it? 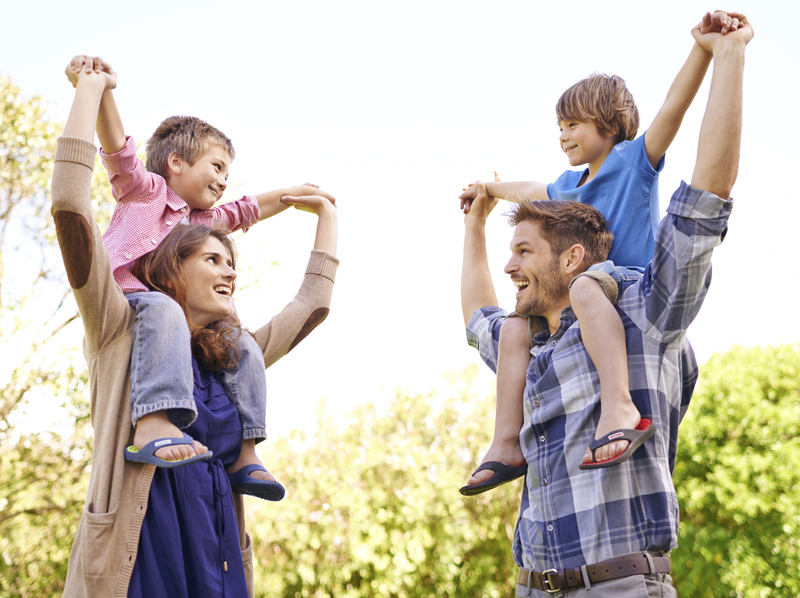 Read a few great ideas here in 9 Things We Should Get Rid of to Help Our Kids. Rumors were beginning to swirl around our church. Was it true that one of the couples was having trouble with their marriage and even thinking about divorce? The battle in my mind began. Should I say something to them or was it none of my business? What if I said something but it was taken the wrong way? But if I didn’t say something and they later divorced I would feel guilty for not doing anything. They probably needed counseling and since I’m not a trained counselor I was off the hook. But was there anything I could do as a friend and fellow believer to help them with the underlying spiritual issues that were causing the problems? I decided to pray for each member of the family by name that God would bring peace and good out of the difficulties. Next I asked God for wisdom and courage to act quickly before I came up with more excuses for inaction. Filed under Bible Study, Changed Lives, Discipline, Family, Pastoring, Sexual Issues, Why Not Try This? Recently one of our northwest Seventh-day Adventist pastors went through a very difficult experience. He was encouraged by several friends to attend a weekend in Portland called “Foundations.” He paid the fee and attended but had such serious reservations about some of the process that he left early. He wrote down his experience and perspectives . Afterwards he started doing more research into “Foundations” and other related activities. He came across an article titled “White Collar Cults” and stated that even though the article was written over 15 years ago it described numerous parallels with what he had just experienced. What becomes abundantly clear from these experiences is that many people are searching for answers to deep relationship and emotional challenges. The ultimate solution can only be found in a deeper relationship with Jesus and healthier relationships within the body of Christ, in spite of all its flaws. As Seventh-day Adventists we have the tremendous advantage of have inpired counsel to help us filter out false therapies and embrace those in harmony with the principles of the Bible. For those who have never read them I highly recommend the two-volume set of Mind, Character and Personality (read some chapters online at Google Books and see free online study guides here) which has inspired counsel and Chapters such as Heredity and Environment (Chap 17), Security in the Home (18), Christ deals with Minds (21), Selfishness and Self-centeredness (30), Infatuation and Blind Love (32), Guilt (48), Worry and Anxiety (50), Depression (52), Pain (55), Anger (56), Hatred and Revenge (57), Communication (62), Imagination (63), Emotional Needs (66), Rejection (69), Thought Habits (72), Mind Controlling Mind (78), Hypnotism and Its Dangers (79), Safe Mind Therapy (80), Dealing With Emotions (84) and Safe Mind Therapy (81). There is no need to be led astray in these last days. 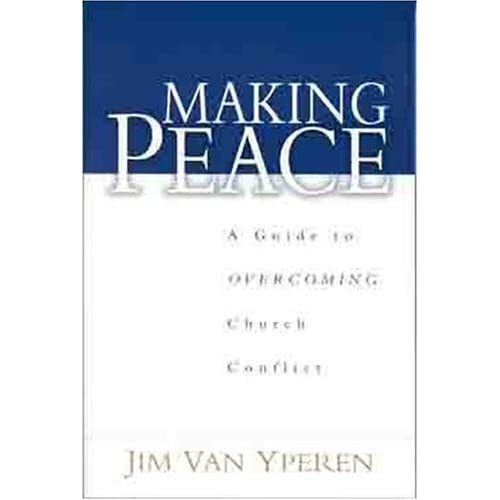 The book Making Peace: A Guide to Overcoming Church Conflict is published by Moody Press and is available on Amazon.com. Here is a review, by Pastor Tom James of the Centralia Seventh-day Adventist Church District, that was read to the pastors. Defending Adventist Fundamental Beliefs www.SDAforme.com (or sda4me.com). Various articles and discussions with Dale Ratzlaff, Desmond Ford and other on topics such as the Sabbath, Ellen White, Pre-Advent Judgment, the Gospel, the Law and Final Events. Maintained by Martin Weber, Communications Director for the Mid-America Union. Creation, Faith & Science. Seventh-day Adventist World Church President Jan Paulsen’s recent statement on faith, science and creation. Clergy Sexual Abuse. Hope of Survivors Ministry (www.thehopeofsurvivors.com) helps victims of pastoral sexual abuse. This video clip describes the need for this ministry. When God disciplines us. When God chisels the dead weight out of our lives it can be very painful. In one of their most requested skits, Tommy and Eddie (“The Skit Guys” at www.theskitguys.com) give a very creative look at a typical believer having to go through the process of discipline. Click to watch video clip. Preach better sermons. www.BetterSermons.org provides Adventist tools for better preaching such as sermon outlines, videos, etc. Plusline Resources. If you haven’t checked out www.plusline.org recently you’ll be amazed at how you can find almost any North American Division event, resource, article or piece of information there. Andrews Seminary Committee Response to Steve Wallace, dated December 26, 2006. North Pacific Union Conference withdrawing support, dated February 22, 2007. Suggested guidelines- Who should be allowed to preach in Seventh-day Adventist pulpits. Don’s passion is to help every church member share Jesus with those around them. He does it himself, too. He Knows What He’s Talking About (H.K.W.H.T.A.). Andrew MIchell had a compulsion to steal. By the time he was sixteen he went to prison for ten years, the first two in solitary confinement. Today Andrew is in his late twenties, has a college degree, is a member of the Puyallup Seventh-day Adventist Church (WA Conf) and wants to share how Jesus transformed his life. Watch his testimony on the latest Northwest Spotlight on Mission (sent to all first elders and Sabbath School Superintendents in the NPUC) or online at http://www.npuc.org/article.php?id=340.